I like the bottom pic, cooked food... but, no propane bottle or hose hooked to the inlet. 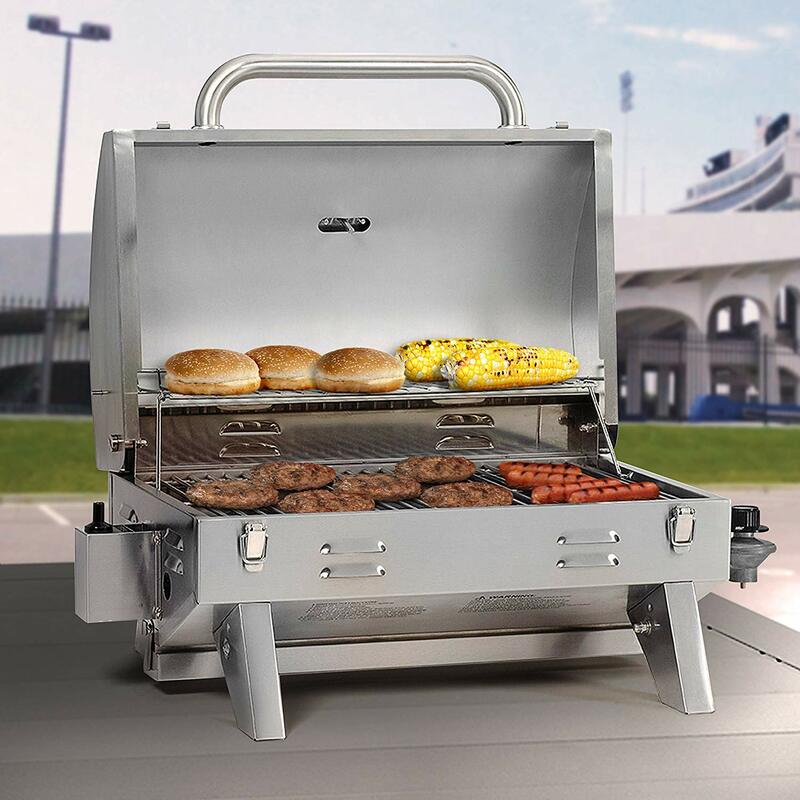 I have one of these, nice little barbeque. I've had one & it's bigger than the two of us need. More surface space than needed & just a bigger foot print when you store it in a small place. We're using a Char- Broil Standard Portable Propane Gas Grill. 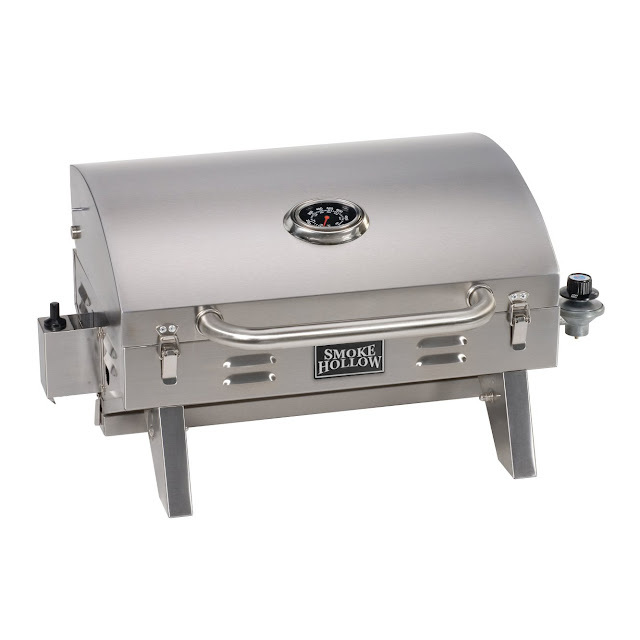 It's black, it's cheap (around $30, we got the last one at Lowes) and it will do four burgers just fine.